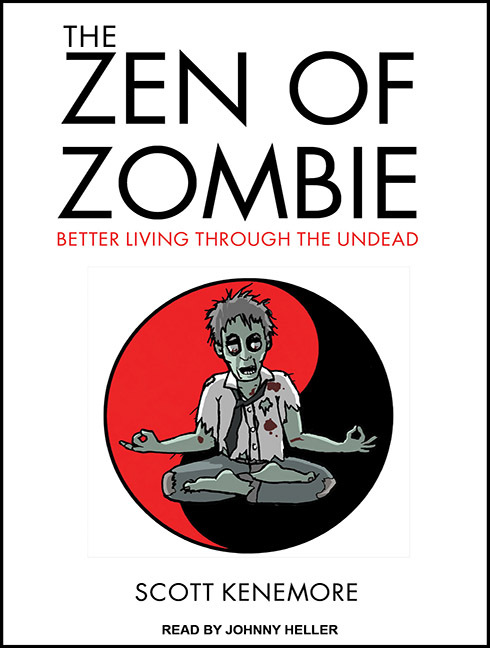 My first book, The Zen of Zombie, has just been released as an audiobook from Tantor Audio. 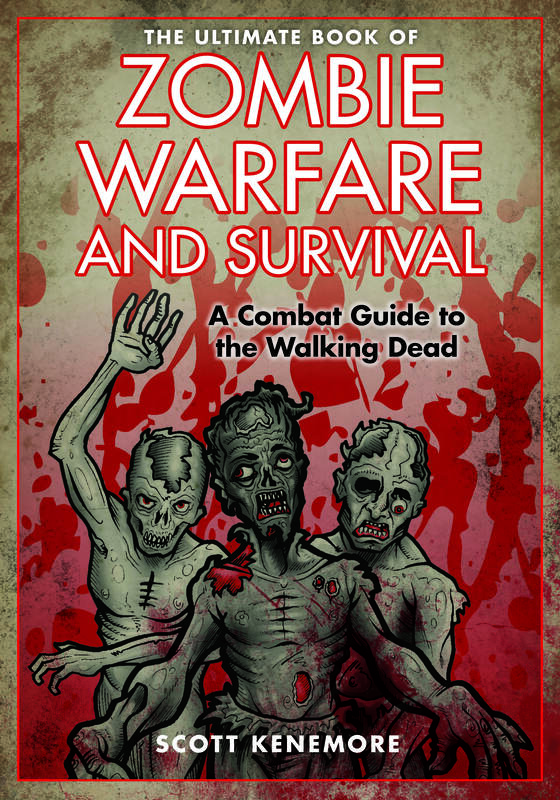 Click here to read the related story in Publisher’s Weekly. 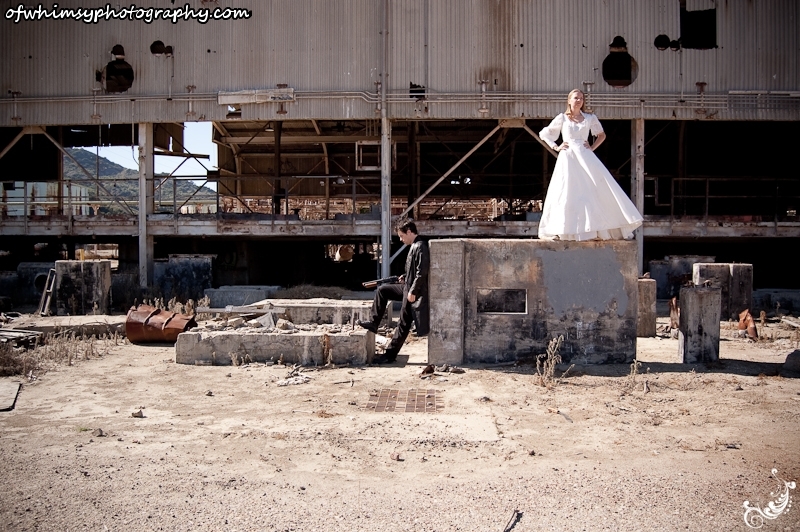 Have you ever been to (a) post-apocalyptic wedding? 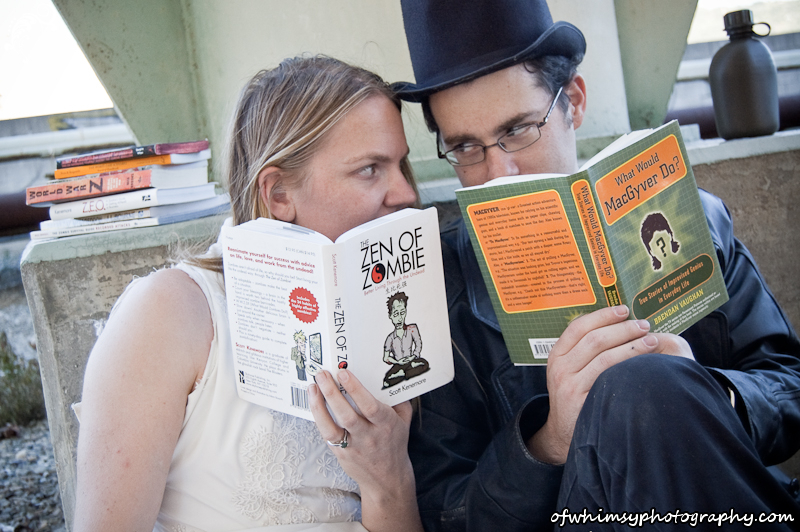 A young lady who attended Kenyon College a few years after me has done a post-apocalyptic photo shoot with her husband-to-be to celebrate their upcoming wedding. My humble tomes have found their way into several of the pictures.